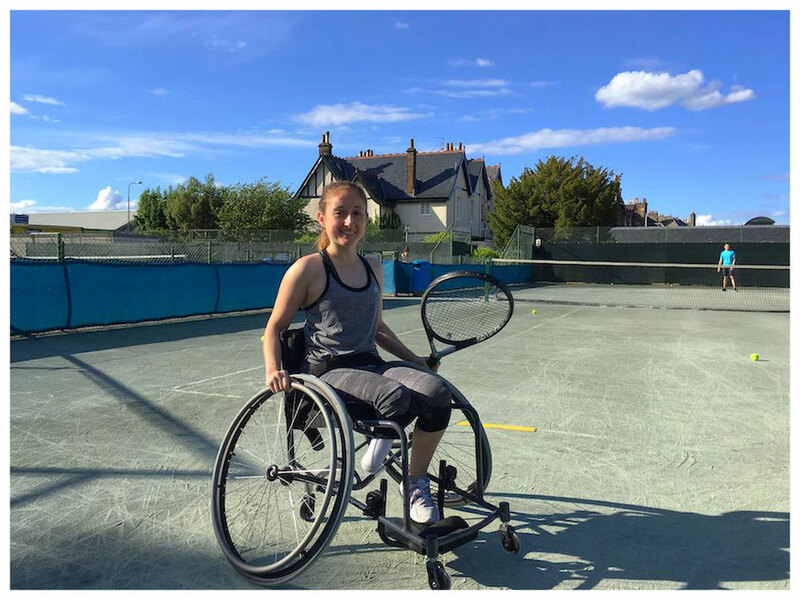 Tennis was always Rebecca's sport of choice (picture courtesy of Rebecca Sellar and Advantage - Edinburgh's Disability Tennis Organization). Rebecca Sellar, a 25 year old below-knee amputee from Scotland loves coaching and playing tennis, took part in this year‘s paraclimbing series and recently competed for Scotland in a national debut match against the Netherlands. And all that when only a few years ago she did not consider herself a sporty person. I have not always been a sporty person, and in fact, at one stage not too long ago at all, I would have laughed out loud at the concept of me being considered remotely sporty. But over the course of two years, sport, and in particular tennis, have become such a fundamental and fulfilling part of my life that I couldn't begin to imagine life without these aspects. This big shift in my life first began a couple of years ago - in my early twenties, as I was unfortunately beginning to develop a number of joint issues associated with my condition. For context, I was born with a condition called fibular hemimelia; my fibula was completely absent at birth, my right leg was shortened and deformed, as was my right knee and hip joint. At the age of one year old I underwent a below-knee amputation, to allow me to be fitted with a prosthetic, and give me the best chance of a physically active life. The reality of my abilities post-op blew expectations out of the water, and I've progressed through life with relatively few amputation-related issues. The wonky knee and hip joints, however, have been another matter recently. As I moved into my twenties, and these joint problems began to intervene in my ability to go about my daily life, I found myself isolated and frustrated. It was a time where the realities of having a disability weighed heavily on me, and I allowed these emotions to rule my life. It doesn't take a genius to work out that this was not a good way to live. After nearly a year at my worst point, struggling through life in this way, I found myself in the kitchen one day, shaking like a leaf from sheer exhaustion whilst trying to wash some dishes. This was the straw that broke the camels back. This was not the way a young adult should be living life. I had so much more to do before I was ready to sit back and admit defeat. So I began looking into what I could do, rather than focusing on what I couldn't. And so I began looking into para-sport. Tennis was always a sport of choice for me growing up. I am of a very petite build - and quite stubbornly ruled the prospect of any contact sport out for this reason. The tactical nature of tennis has always appealed; I wiled away many hours of my youth rallying with my friends in the garden. It is a game based on more than just brute strength. And so it was with all of this in mind, that I found myself at a wheelchair tennis session for the first time in February 2015. There is only one major difference between standing and wheelchair tennis: whereas a standing player is allowed one bounce of the ball before they return a shot, a wheelchair player can have two bounces. Otherwise, the rules are the exact same. The benefit of this similarity is that an able-bodied and wheelchair player can play against each other, with the bounce limit simply being adjusted for each player. The tactics and nature of the game do shift slightly with this bounce difference; a wheelchair tennis player will likely play much further back from the base line than an able-bodied counterpart. This is simply because it is a lot easier to wheel forward, than wheel backwards. Match style also differs slightly for the wheelchair version of the sport. Court positioning becomes paramount, as every push of the wheel and direction change will cost valuable time as your opponent aims to return your shot. Spectators of the sport know the rhythmic shift in positioning of the player as they push out to the ball, and circle back to the base line every time in anticipation of their shot being returned. As with the able-bodied version, it is a tactically driven game, with a fast pace. An effective shot is one from a player who has taken into account the next number of returns - factoring their own positioning, and their opponents with precision. The fast pace, and the tactical nature is what drives my love for this sport. Prior to my first experience at trying wheelchair tennis, I could count on one hand the amount of times I had been in a wheelchair, and never for more than a matter of hours. This, in itself, made me question if wheelchair tennis was the sport for amputees like myself. It most certainly is. The first time I sat in the chair on court, I felt like a fish out of water. I looked like a fish out of water too. Learning to move in a sport chair with a racket in hand is a challenge in itself. Unsurprisingly, the elite sport-persons at Wimbledon have the knack of making movement in the chair effortless. Hand positioning, angle of the chair to the ball, timing of the wheel push, and grip strength on the wheel are all factors at play for effective court movement. After all of this is said and done, maybe then you have a shot at hitting the ball. It took me six months of weekly tennis sessions before I began to feel confident in my chair movements. It is only natural for such a complex sport to take a fair length of time to learn. I cannot emphasize enough to those considering getting into para-sport, and particularly wheelchair tennis, to persevere through those awkward first attempts. The rewards, both mentally and physically, are well worth the effort. Nearly two years on, I couldn't imagine my life without tennis. In October of this year I came away with my first medal, after taking second place in a doubles competition. I'm now a qualified LTA tennis coach, and spend 4.5 hours every weekend on court, coaching and playing the sport. On my good days, I coach standing, but when my joints flare up, I coach sitting. The nature of the sport means a wheelchair player is fully equipped and capable of coaching standing or wheelchair-using players. This inclusive nature is what endears me most to the sport, and why I want to encourage others to get out there and give it a shot too. Guest post by Rebecca Sellar. Rebecca is a 25 year old below-knee amputee. She spends her weekdays working as a scientist and compliance officer for a stem cell banking company, and her weekends coaching and playing tennis. 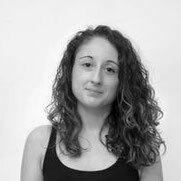 On the occasions that she has some spare time she also loves to rock climb and compete in amputee football; most recently competing for Scotland in a national debut match against the Netherlands in October of this year. You find her on Twitter and Instagram.